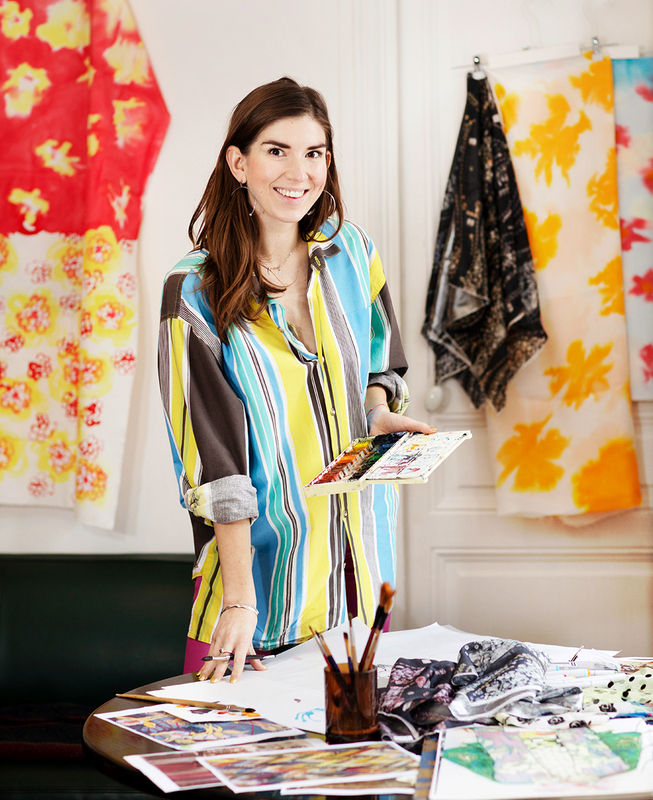 Have you ever wondered what goes on in the mind of a textile designer? These acclaimed Finnish print designers share their journeys from sketchpad to catwalk. Inspiration can lurk in unlikely places. Reeta Ek grabs a handful of lentils and tosses them in the air, watching intently as they land in a random pattern. She then scans the image for her idea bank. Chance plays a surprising role in the work of this designer who describes herself as “practical and disciplined.” Lentil-tossing, she concedes, is a conscious form of disruptive rebellion. 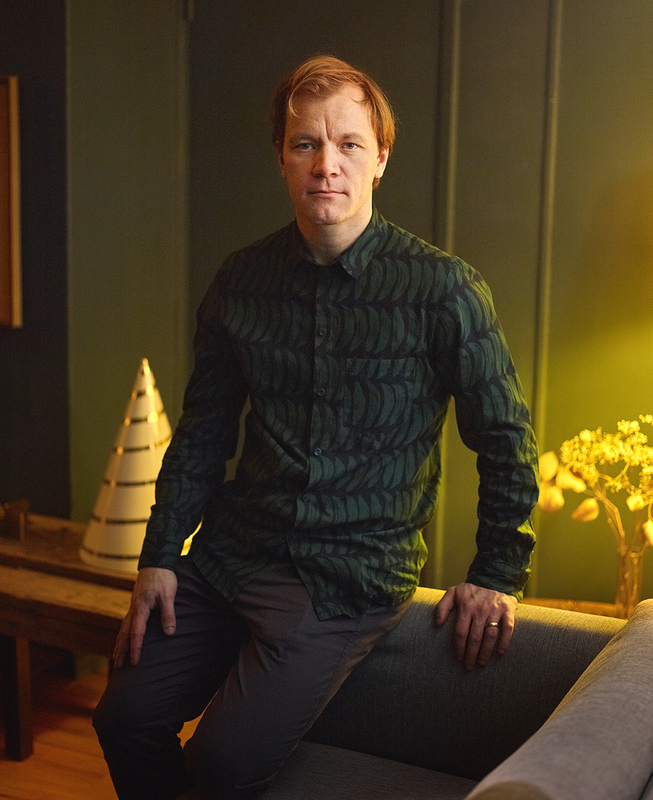 Surprising fusions of form and colour have indeed made Ek one of Finland’s most sought-after print designers, with a client list including top brands Marimekko, Nanso, and Lapuan Kankurit. For Ek, the process begins with feverish sketching. After dropping off her two young sons at day care, she arrives at her Helsinki studio at 9 am and initiates her unblocking ritual. “I used to panic when faced with a deadline, but now I trust my process. I might start by painting acrylic patterns on an overhead transparency. Many of my sketches are little more than a spot or squiggle, but I scan each one for my archives. When the time is right, I dip into my bank,” she says. The real “spadework” begins at the computer, where Ek spends hours mixing, matching, flipping, and enlarging. After scaling, she produces the first mock-up for the client, with whom she tweaks the final design as a team effort. Pasi Kärkkäinen-Tunkelo’s Helsinki Design District studio looks like something straight from an Art Deco stylebook “Timeless” is also a fitting portrayal of the prints he creates for lifestyle brand Samuji. Ranging from bold, dark-toned tablecloths to feather-light pastel blouses, his work has the chameleon touch of 100 designers rolled into one. The first challenge is conquering the blank page. After dropping his daughter at day care, Kärkkäinen-Tunkelo often spends the whole day sketching like a man possessed, barely noticing the passage of time. “I like to paint with random objects like a credit card, playing with different textures. I rarely draw anything figurative. I work on paper as long as I can before turning on the computer. Vectors aren’t my thing,” he reveals. That’s not to say he’s “soft” on the technical side. Kärkkäinen-Tunkelo if anyone has an in-depth knowledge of the printing process. 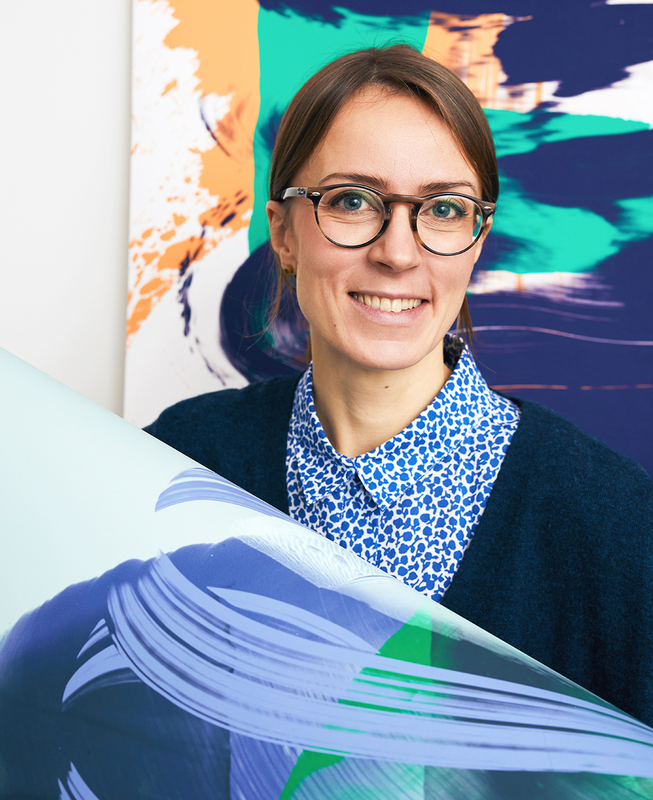 “I learned every trick in the book about colour separation and print repeats during an internship at Marimekko. The factory floor was my real school,” he recalls. Bold, riotous, clashing – these are epithets typically linked to the work of Sophie Sälekari, a fashion whiz kid whose precocious talent has made her one of Finland’s most internationally acclaimed print designers within a span of only three years. After placing in the finals of the 2015 Hyères fashion competition, she was headhunted by French luxury fashion house Kenzo, where she now works full time as a resident print designer. Wild experimentation usually takes a back seat to discipline in the world of haute couture – which, contrary to common misconception, is far from a solo show. Sälekari’s process begins with research. “Last season’s theme was ­multiculturalism, so we set out by studying national dress and colours in different countries. Then, after sketching, I ­suggest a motif and technique. The team picks their favourite and we move forward. It’s really a group effort,” she describes.